So you are in Pune!? Are you going to Pune anytime soon? Do you have just 24 hours in Pune? Here is everything that you should do and how you should spend 24 hours in Pune! Why Pune has a special place in our hearts? 5 A.M: Land in PUNE: Once you land in Pune and exit the Pune Airport, take a cab straight to the zoom car pick up location( if you don’t have a vehicle to get around here and yeah if you know how to drive! 😛 ) There is one pickup near Kanak Dhaba(which is on the new airport road) & is really close to the airport. Once you have the Zoom car, you are ready to go. 6 A.M: Start your day right: Drive up to the VOHUMAN CAFE for breakfast. When in pune, you have to have Bun Maska, along with their Cheese omelette, which has been voted as Asia’s best cheese omelette and righfully so! Don’t feel guilty about the calories you are consuming, the next stop will make up for it! After the scrumptious breakfast, let’s get going and explore all that Pune has to offer. 11 A.M: Time to head back to the city: Drive back to the city and on your way back, make a pit stop at Khadakvasla Dam to enjoy some corn and views on the khadakvasla Dam surrounded by mountains! 1 P.M: Grab Lunch at Chaitanya Paranthas: It is time for another delicious and calorie rich meal. 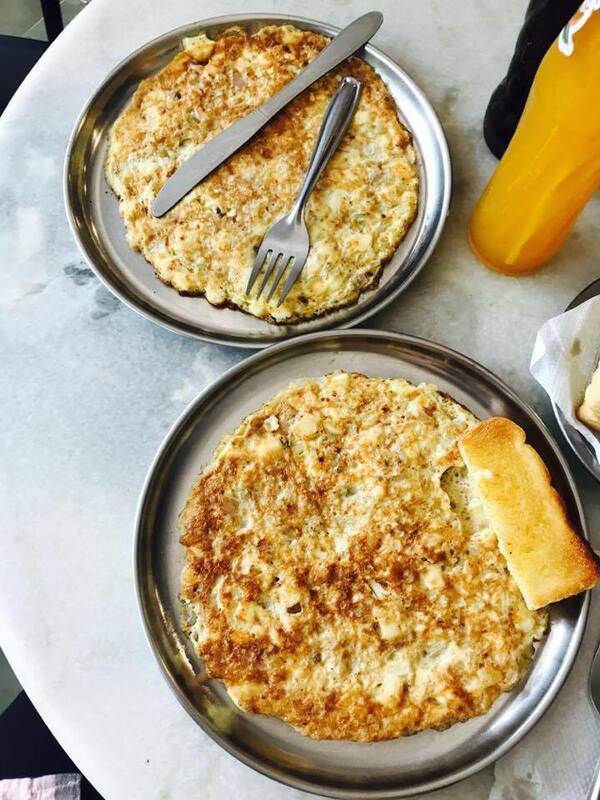 Head to Chaitanya paranthas for amazing parathas and to feed your soul! Walk round FC road and do some street shopping(if you want) There are a number of places selling books at discounted prices, so grab a few! 2 P.M: Walking tour: Join an afternoon walking tour to explore the streets. Start off with the haunted Shaniwar wada and explore copper smith’s colony and some of the local Bazars (markets). While on the tour have some Misal pav because they know their Misal pavs very well! 6 P.M: Hangout with friends at CHAI CAFE, Viman Nagar: Okay! 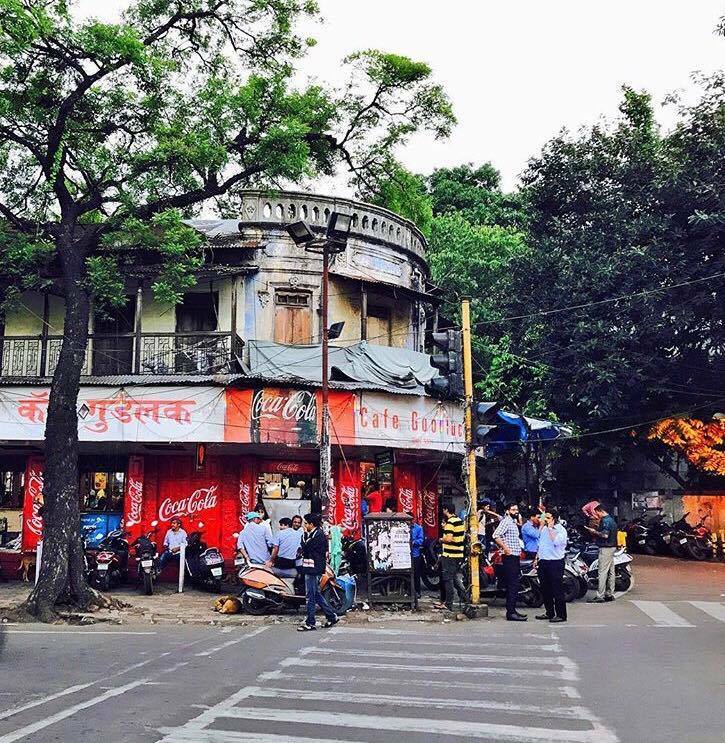 You have walked enough ,Hangout with your friends at Chai, Viman Nagar. 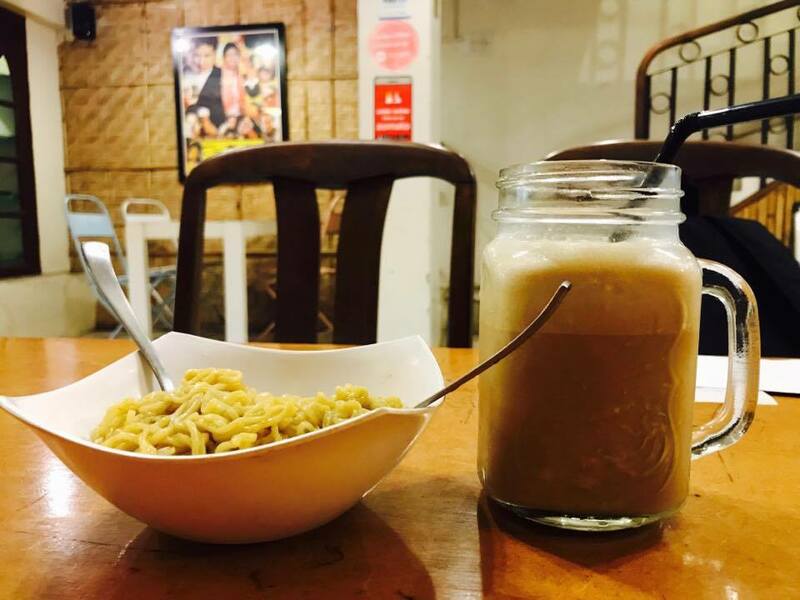 Catch up over tea?cold coffee( If that’s your jam) and maggi! 😀 You can totally go Cafe hopping while here in Viman Nagar. 8:00 P.M: Time for pastries: Now, before you leave Viman Nagar, go to Iyengar bakery and get some cakes packed for you to take back home. Their Mawa Cake is to die for and is our absolute favorite. Now, Head over to Koregaon park and go to German Bakery and order some pastries and treat your soul! You must be thinking why am I taking you to all the places around Pune to eat? Well, that’s because Pune has some amazing Cafes and I’d hate for you to miss out the best cafes(even if you just have 24 hours here). 9:30 P.M: After a long day it is time to party! Head over to ABC farms in Koregaon Park. There are a number of Restaurants and bars there but our absolute favorite is Shisha Jazz Cafe. They have outdoor seating, candle lights and live Jazz music, Oh and delicious food! 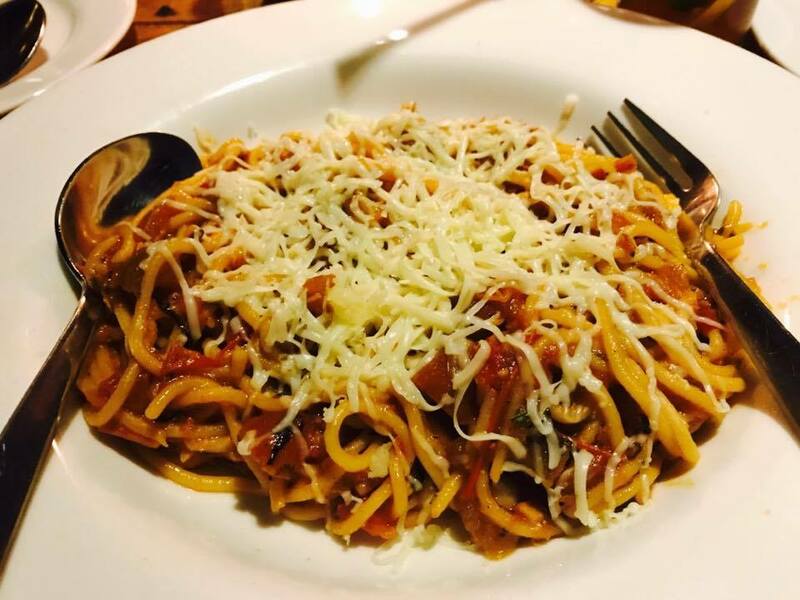 Try their spaghetti noodles and you will thank us later. 12 P.M: If you spent all your time in ABC Farms in drinking and forgot to have food, head over to hungry owl for decent thin crust pizzas and if you are in the mood for Indian food, head over to Kanak Dhaba and gorge yourself on Daal Tadka and kadhai paneer. It looks like a great day! Great. Its explaining over Pune cab booking services. Really nice. Thank you.